Learn How To Create The Ultimate Online Business Even If You Are Newbie Who Doesn't Know Anything About Programming! Have you found yourself working on a job where you can't seem to progress or you don't feel appreciated no matter how good you are in what you do? Do you feel as if something's not right and you're not happy with where you are in your career and life? You studied hard, went to college and you thought you were set for life but where has that brought you? You dread waking up early in the morning, getting caught in the rush hour traffic and when you finally reach your workplace; your boss is being a pain. You feel empty inside, as if you're in a routine and not really living your life. Are you going to let go of your dreams and slave away for somebody else for the rest of your life? You're not going to give up just like that, are you? Each and every one of us has the power within us to take control of our lives and achieve things far greater than we've ever thought off. So what are you waiting for? To be successful, you need to be passionate about what you want to do. There's no point doing it half heartedly or working just to pay off your bills. Only you can change the way your life is and the way it's headed. Are you ready to take the next step and change your life? There's one way for you to change the course of your life. Start an online business that's low on cost and easy to set up unlike a brick or mortar business. To be more specific, start a niche site. It's a blog or a site that's focused on a single niche or topic that provides massive value to the reader or visitor. When you have a significant number of visitors to your site, you will be able to monetize it. There's No Better Way To Make Money Compared To Niche Marketing! Low cost - It's much cheaper to start a niche site compared to a full blown online store with physical products. You don't need inventory and you can build a huge following even if you have nothing to start with. Credibility - When you start posting about the topics you know about and teach your readers, they will see you as an authority. When you want to promote your offer, it will be much easier because they have already seen what you are capable off. Scalable - You can start with one niche site and work at it until you start earning a stream of income, even if it's just $100 per month. Then you can choose whether to create another niche site or go deeper in your current niche and expand your site. Do I need to spend thousands to build a website? What If I said, you have nothing to worry about? You don't need to know all those things to start a simple site for your first online business. Start your first blog - The step-by step process to start your very own blog even if you have never done it before. Just follow the videos and you don't need hire an expensive webmaster or programmer to do this for you. Create a Facebook page - How to set up your Facebook Page to promote your blog and share it with your friends, readers and reach a larger audience. You will be able to grow much faster by using Facebook and the best part about it, it's free! Create a Twitter account - Another social media platform you can leverage. Set up your twitter account and tweet about your latest blog post, an offer you're promoting and build a buzz around your blog in Twitterville. Create other social media accounts (Instagram, Pinterest) - Besides Facebook and Twitter. There are other social media platforms that will boost the traffic to your blog. Learn how to use it effectively and you don't need to worry about traffic anymore. Start your own newsletter - This is the key to your online business. Learn how to create your own opt-in form and capture your reader's email address. Start a cool newsletter to engage your readers and build a loyal community for your blog. Come up with your first paid product - Discover how to create a compelling product or offer to start earning massive income from your blog. There's nothing better than getting paid to do what you love. Plan your sales funnel - Learn how to increase your blog's profitability with a sequence of great products and converting more readers to loyal customers. Grow your business 10x more with big tickets! - How to build trust and sell big ticket items which cost hundreds or even thousands. There's an art to it and you're going to learn how to do this! How to create repeat business with membership sites - This is where you make the sale once and get paid for many months to come. Find out the tools and tips you need to set up your own membership sites. Having your own online business that gives you the freedom to do whatever you want. You don't have a boss to report and you make your own rules. You can run you're the site from anywhere without being tied to a single location. It's a perfect business that suits your adventurous lifestyle. The best part of it is, it doesn't cost much to run an online business. You don't need a fulltime staff or an office space that charges high rent month after month. You can be one man show and earn as much profits without leaving the comfort of your bedroom. Wow Awesome! So How Much Is It? A lot of hard work and effort has been put into this course to create a high quality tutorial that will show you how to set up your own niche site from scratch, even if you are a newbie! Think About It... If you can build one niche site that makes $100 per month,how much would you be earning if you had two or three niche sites. The possibilities are endless. You decided on how you want to do this. But if you implement this properly, you will stand to earn as much as few hundred dollars or even thousands per month! If you want to start your own niche site within the next few hours that is going to bring you massive profits month after month, then these video tutorials is what you've been looking for. And for only $47.00 $17.00, you can have your first niche site up and running by today! P.S. Imagine having your own ATM machine that prints money on autopilot month after month. 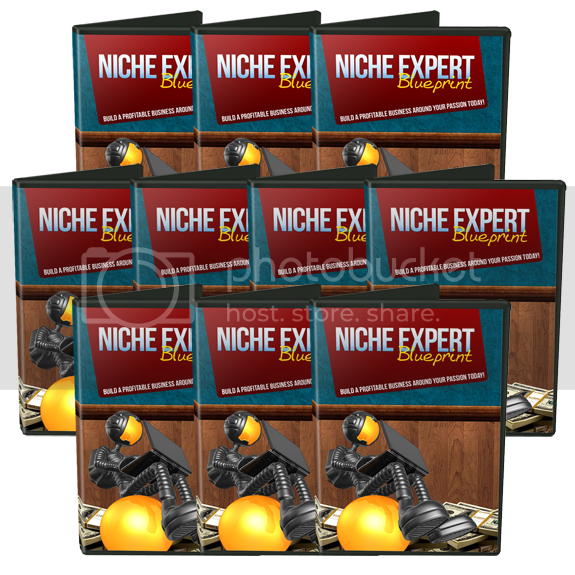 You just have to the work once and you earn massive profits from your niche site. Then you can start a second niche site, a third and so on and you're one email away from your success. Order now. This product is being sold by: Carol Clifford with a 30 days refund period.